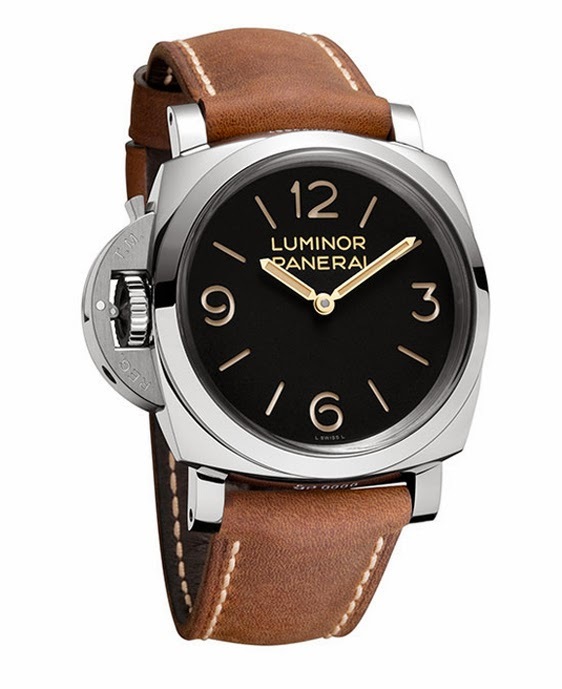 Officine Panerai presented the left-handed version of the Luminor 1950 3 Days, in which the winding crown and the crown-protecting device are at 9 o’clock, on the left side of the case. Left-handed watches are very much part of the history of Panerai. The commandos of the Italian Navy had to wear several instruments on their wrists at once: not only the watch but also the compass and depth gauge. 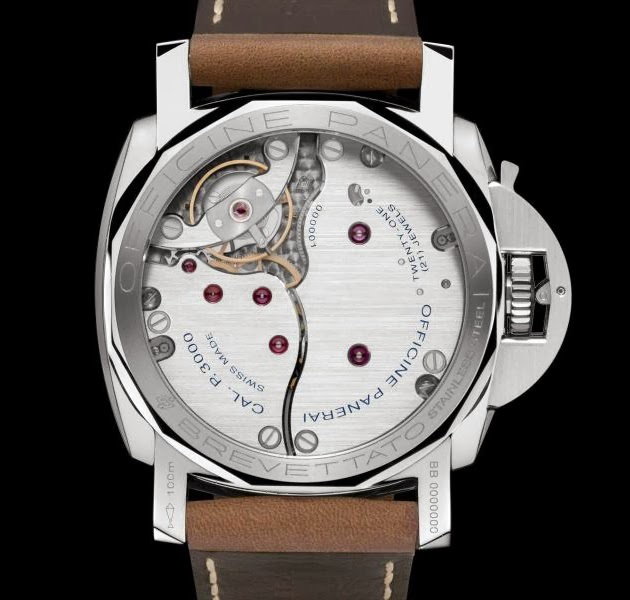 For convenience, some of them preferred to wear the watch on the right wrist, and for them Panerai created the watch with the winding crown on the left side. 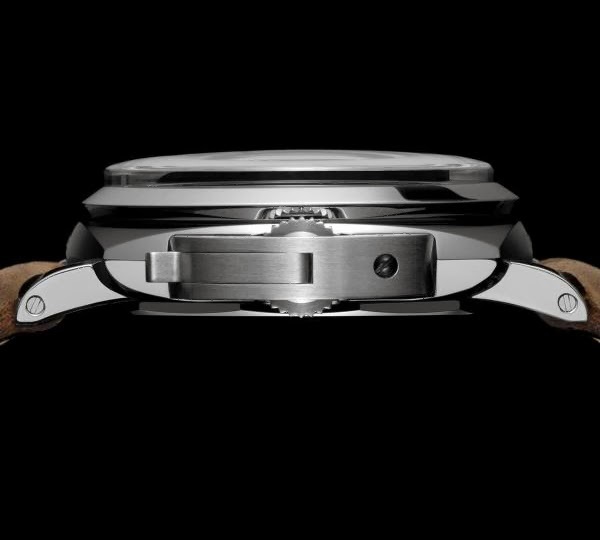 The 47 mm steel case of the Luminor 1950 Left-Handed 3 Days has a unique detail which distinguishes it from the classic Luminor 1950 case: the caseband has a cusped shape, hinting at the form of a cushion case. This little detail, picked up directly from some examples of the period, tells the story which brought about the transformation from the Radiomir, created in 1936, with a classic cushion case, to the Luminor, more massive in its proportions and identified by the device protecting the winding crown. The dial is protected not by a sapphire crystal but by a 3 mm Plexiglass one, similar to the polymethyl methacrylate used in the historic models. The movement of the Luminor 1950 Left-Handed 3 Days is the hand-wound P.3000 calibre with a power reserve of three days, completely developed and made in the Officine Panerai manufacture at Neuchâtel and visible through the back sapphire crystal. The Luminor 1950 Left-Handed 3 Days (PAM00557) is water-resistant to a depth of 100 metres and it is fitted with strap of natural, untreated leather, fastened by a brushed steel buckle inspired by that of the period model. It is supplied with a second strap made of rubber and a spare Plexiglass crystal. 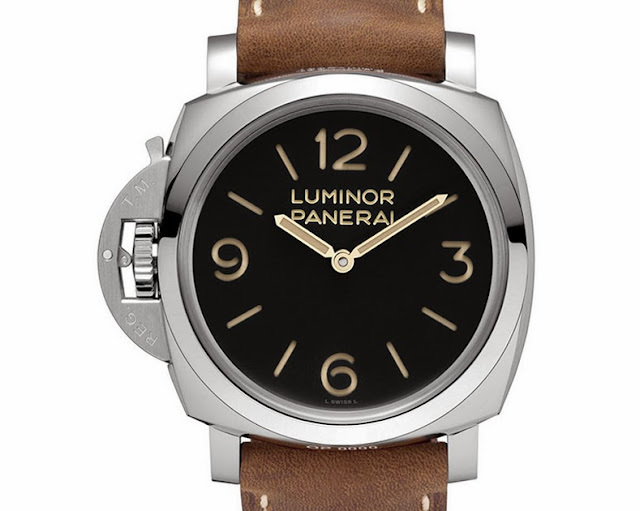 Officine Panerai presented the left-handed version of the Luminor 1950 3 Days, in which the winding crown and the crown-protecting device are at 9 o’clock, on the left side of the case. The Luminor 1950 Left-Handed 3 Days (PAM00557) is protected not by a sapphire crystal but by a Plexiglas one, similar to the polymethyl methacrylate used in the historic models.